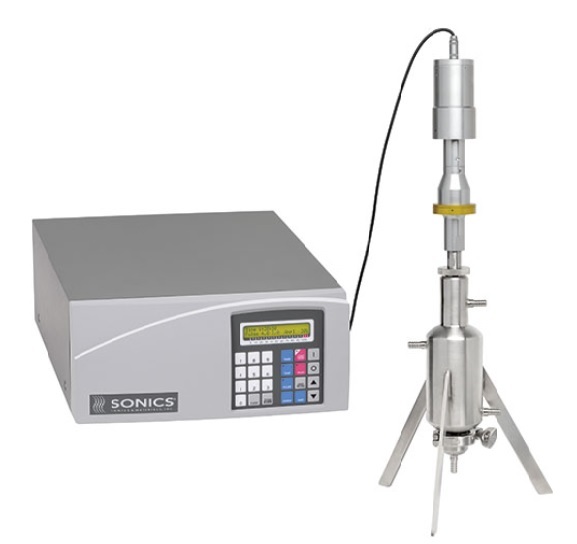 1500 Watt Ultrasonic Processor and High Volume Continuous Flow Cell with typical throughput rate of 100 liters/hour – variables being viscosity and desired degree of processing. Designed primarily for industrial mixing, including large scale processing of nano-materials; industrial processing, including emulsifying, degassing, and large scale dispersions. The flow cell is easily disassembled for inspection and cleaning and is water jacketed to enable the sample to be cooled/heated while it is being processed.